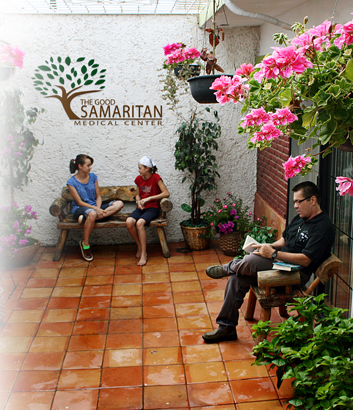 The Good Samaritan Medical Center is localized in Cd. Juarez Chih. Mexico, just 5 minutes away from El Paso, TX USA. Our clinic is a world-class clinic with 20 years of experience, we have a team of experienced staff and licensed physicians to provide you a high quality care. Our clinic uses an effective combination of Holistic and Conventional Therapies because we think it is important to take the good of both choices in order to benefit the patients. The advantages when coming to us are that you will save Money and Time and you will get healthy, too. First Dr, James listens carefully to each patient, he makes a complete physical examination and laboratory test and after that, he talks to the patient about the treatment. There is a lot of Medical knowledge around the World as to Home Remedies that need to be used, being both Natural and effective. These have been used for thousands of years. When the Patient requires a Chirurgical approach, Dr. James proceeds in the less invasive way (Laser Surgery). Dr. James is a great doctor and a friend. When you go home after treatment, the relationship between Doctor & patient is not broken. In this way, the patient keeps in contact every time he needs to. Finally, Dr. James follows the progress of the patient. We provide our Patients with three full meals a day, as well as specialized meals and diets that have been prescribed to the patients by the medical staff. Amenities such as microwaves and refrigerators are available for our guest’s convenience. Medical and Nursing Staff available 24/7 for patient care and ease. We have single, double, triple, and also family rooms available. Special amenities can be made for large groups if requested. Free phone service for international calls is available for all guests. Leisure tours of the city are available for our guests upon request. The Good Samaritan Medical Center provides on-site laundry facilities including washers and dryers, available 24 hours each day. RICARDO O. JAMES M.D. 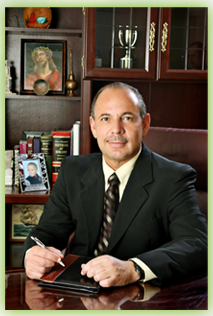 has over 30 years of experience in treating heart diseases, cancer and other degenerative diseases. He treats patients with love and care, always looking for the best quality of life for them. Dr. James graduated from Universidad Autonoma de Guadalajara, the most prestigious Medical School in Mexico, which receives students from USA and many others Countries of the World as well. Many Patients come to the Clinic with different Health Problems. Each one of them is treated in a unique way because each one of us is unique. RICARDO O. JAMES M.D. focuses in going right to the root of the problem, not just treating the Symptom.